Here it is June already, and before you know it your fruit will be ready to be stored. 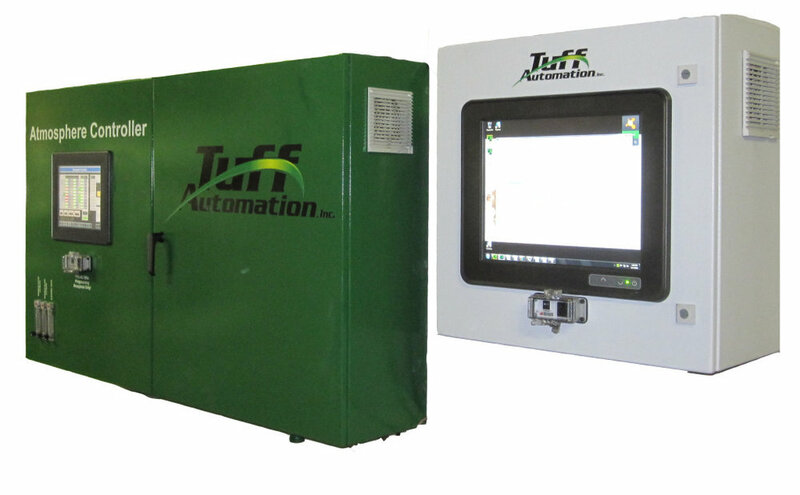 We at Tuff Automation hope you have a great season with few problems, and we’d like to remind you that it is this time of year, when you have access to your controlled atmosphere (CA) storage rooms and equipment, that you should be tuning up your systems. To make this process a little easier for you, we’ve compiled a list of some things you can do to make sure your systems are in top condition and ready to store the fruits of your labors—pun completely intended. Read on for tips regarding some key points of CA storage system maintenance, starting with checking your CA rooms. This is a time-consuming process, but one that can pay back in real savings. Airtightness is crucial for your CA storage rooms to operate optimally. There are a number of issues that can contribute to the loss of airtightness in your CA storage rooms. Remember that not all lift truck drivers are as careful as you are, and leak-causing accidents can happen without your knowledge. Additionally, changes in temperature and humidity over the summer cause floors, walls, and ceilings to expand and contract, creating small cracks and holes. You know as well as we do that once a room is sealed for the year, it can be almost impossible to fix some leaks. And depending on the size of the leak, you may have to continually supply additional nitrogen for the remainder of the season. So now is the time to check your floors, walls, and ceiling for cracks and holes. Just like most equipment, CA equipment does not like to sit around. It may have been months since your room valves, low volume relief valves, emergency glycol traps, temperature probes, as well as room lights and everything to do with the refrigeration have been used. Now would be a great time to start up the system and make sure everything is working and ready for the fall season. It is a lot easier to make these inspections now while they are not being used rather than when you are loading them with fruit. Once you have your CA rooms inspected, repaired, and tested, you can move on to the main equipment. Most CA systems consist of a nitrogen generator, a carbon dioxide scrubber, and some form of CA controller. Carbon Dioxide Scrubbers Most carbon dioxide scrubbers will require a little maintenance and calibration. Monitoring the status of the following components will ensure your scrubber is in good shape. A good scrubber has a filter for incoming regeneration air, and most of the time this has not been replaced throughout the previous year and should be replaced now. A dirty filter or one removed can cause the system to run less efficiently, and, if not taken care of, will damage the activated carbon that is used to scrub the carbon dioxide out of the nitrogen. The incoming air to these valves should have the correct filters in place to protect them from dirt, oil, and water. If you have these filters on your system, it is good practice to replace them before the beginning of the season. Although they may be fine now, replacing them is a small price to pay to protect the scrubber from major damage later. Most scrubbers use oxygen sensors to make sure the rooms are at the right oxygen levels and that the scrubber isn’t adding oxygen. It is good practice to have these calibrated at least twice a year. Some operators may even choose to do it monthly to make sure everything is in order. Most newer scrubbers use carbon dioxide sensors to make the scrubber run more efficiently and monitor the levels in the room. It is good practice to have these calibrated at least twice a year. Look over the whole scrubber for loose hoses, wires, and fittings. Make sure all the valves are working properly. Run the system for an hour just to make sure everything is in good working order. Pressure check all pipes to check for leaky valves, scrub blowers, fittings, and pipes. Blow or wipe off the dust and dirt to keep machine clean. 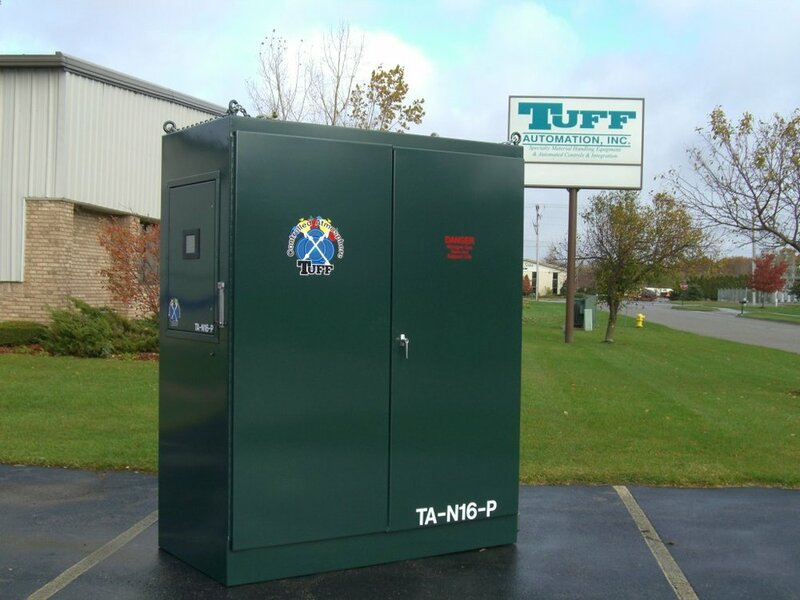 Nitrogen Generator At the heart of any CA system is a nitrogen generator. If this goes down and you do not have a back-up, you could find yourself in a world of hurt. Just like the scrubber, most nitrogen generators will require regular maintenance. Whether you use a PSA or a membrane nitrogen generator, filtration is very important to their function and longevity, so maintaining the components that facilitate this process is also important. These machines are very expensive and should be maintained and watched by someone that is trained in their function. We suggest having a local distributor come in and tune up this component at least twice a year. Now would be a good time to have them come in and do their complete maintenance program on them. This includes, but is not limited to, changing the oil and filters and making sure that the system provides good, clean air free of any water, oil, and dirt. All of these filters should be maintained and replaced at least once a year or as necessary. If at any time you find water, dirt, or oil in these filters, there could be potential issues with the air compressor or dryer, and the system should be stopped and checked out by a qualified service technician. The incoming air to these valves should have the correct filters in place to protect them from dirt, oil, and water. If you have these on your system, it is a good idea to replace them before the beginning of the season. Most generators use oxygen sensors to make sure they are at the right nitrogen levels. It is good practice to have these calibrated at least twice a year. Some operators choose to do it monthly to make sure everything is in order. Look over the whole nitrogen generator for loose hoses, wires, and fittings and make sure all the valves are working properly. Run the generator for an hour or two just to make sure everything is in working order. Dust and clean the generator to prevent unforeseen damage later in the year. CA Controller Not all storage systems have a CA controller, but a system with one connected to the internet can make your life much simpler. When installed correctly, it runs your system for you using information you have entered into its computer. It automatically reads your oxygen and carbon dioxide levels as well as temperature, room pressures, and the presence of ammonia, and then tells the system what to do. The following components on your CA controller should be monitored for function. Most controllers use electric solenoid valves for operation. The incoming air to these valves should have the correct filters in place to protect them from dirt and water. It is best to replace or check these before the beginning of the season. Depending on which options you purchased with your controller, you will have a few sensors that will need calibration and should be checked out for proper operation. These include oxygen, carbon dioxide, and ammonia sensors. Along with temperature probes and pressure transducers, these components should be calibrated at least once a year and maintained per the manuals. Check CA Controller for loose hoses, wires, and fittings. Run system for 1-2 hours and make sure all of the valves are working properly and monitor the controller’s function. Clean and dust controller to avoid any potential issues caused by dust and dirt. Taking these measures will help ensure the post-harvest season success of your produce. Minor lapses in maintenance can lead to major, and potentially costly, hiccups later on. We want you to avoid these problems just as much as you do. So be proactive—do some preventive maintenance now and save yourself trouble in the fall. You’ll be glad you did.